What’s in a "Domain" Name? 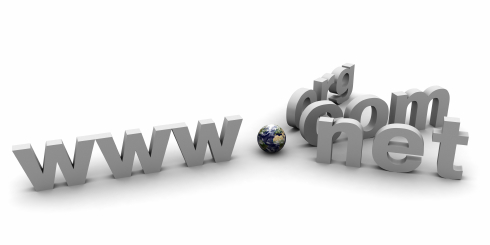 Keys to Selecting the Best Domain Name for Your Website.. When Juliet (of Romeo and Juliet in Shakespeare’s play) posed that question what was she thinking? …Could it be that what matters is really what something is, instead of what it is called? Perhaps in Shakespeare’s time neighborhood stores were called John’s Bakery or Mary’s Flower Shoppe. A business could be named based on what it is since there wasn’t much competition and no Internet! That was a great solution then. Today while it certainly matters what something is, what it is called plays an important role if you want customers to find you on the Internet and not just in your local neighborhood. It all comes down to your domain name. A domain name represents your online business. What you are called is an essential step in launching your website because you want people to not only easily find you but also to recall your website name. It’s your internet identity and sometimes it may not be exactly the same name as your business. Think about Mary’s Flower Shoppe. That domain name marysflowershoppe.com is not available today. If you are unable to get the name of your choice you may be wondering how to choose an alternate domain name. The following tips can help you create a domain name just for you. Develop 5-7 Top Keywords. Let’s consider what Juliet said: what matters is what something is — so what IS your business? If you cannot use your current business name, then a memorable domain name should reflect what you do. To get started, create a short list of about 5-7 key words or phrases that best describes your business. Having some ideas written down will help reduce frustration when you begin your search.. For example Mary’s Flower Shoppe list could include: plants, flowers by, floral designs, blooming roses , colorful blooms, flower arranger, flower baskets —see what words or phrases you can create that reflect you and your business the best. Easy to understand. Your URL should reflect what kind of site you are without having the visitor have to think too much about it. If I wanted to create a domain name for Mary’s shop, I would try taking the keywords list and incorporate her name, for example: flowersbymary, marysfloraldesigns, maryscolorfulblooms or marysplantsplus. Note that I’d be careful of marysflowersandplants because it could read as Marys Flower Sand plants. Are you wondering if there are sand plants? Yes they exist as this term is used in the Mining & Manufacturing Industries for machinery for sand washing plants! Easy to Type & Easy to Spell. Try to avoid Hyphens and Numbers if possible– It’s better for your customers if the domain name is easy to type and spell. People can forget to add hyphens. And in Mary’s case, I would recommend staying away from using “arrangements” or “occasions” or u instead of you or 4 instead of four/for. And if marysflowers.com was not available, I would not use maryzflorist. Yes it’s cool today but think of how many folks will remember to replace the “s” with a “z? And when they don’t they would be visiting and ordering flowers from Mary’s competitor’s website. Maybe the customer realizes they are at the wrong website but can’t find Mary’s and then think she doesn’t have a website! Try keeping the name somewhat short. You want it to be easy for your visitors to remember it and type it without typos. Maybe you want to try typing your domain name a few times to see if you can spell it without typos and perhaps you can enlist a friend to also help. I thought of two companies that visitors are probably happy that they don’t have to type these companies’ entire names. In 1965 a company called Florists’ Transworld Delivery was created, but we get to type FTD.com to order flowers. What about AT&T? Imagine if we had to type: amerciantelephoneandtelegraph.com instead of att.com? And proflowers.com is a nice easy name to type and remember. Be Original. It can be hard to come up with a unique name but try not to mimic another company’s domain name especially if they are well known. Before finalizing your domain choice take the time to research your choice and ensure no one else has it. You do not want to infringe on anyone’s trademark. It’s easy to check this out and won’t cost you anything but your time. The U.S. Patent and Trademark Office enables you to do all the trademark searches you want. After all, would it have been a good idea for Mary to pick 1800marysflowers.com or ftdmarysflowers.com as her domain name instead of marysflowerbasket.com? In the end, your domain name should reflect you and your business. It should be easy to type, easy to remember and most of ail it should be a name you like today and will like tomorrow. Oh and one last tip! When you order your domain make sure you spell it correctly! Before clicking that order button please check your spelling and be careful of typing too fast and ending up with something like flowrsbymary or maryssflowersbasket. Good luck and here’s hoping you find your rose among all the possible domain name choices available to you!